A coping saw is a cutting equipment that makes use of a skinny metal blade on a metal frame and a handle. The handle, however, is sometimes made out of wood. There are lots of uses for a coping saw. It can be used to make “turning cuts” on plastic, wood, or even metal as well. If you’re lucky enough to find the best coping saw for you and your projects, it will make your life a whole lot easier. A good coping saw might also make it a little easier for beginners and first-time users to operate a coping saw. The Stanley 15-104 Fatmax coping saw is suitable for clean and controlled cutting with limited disruption. Moreover, it has lockable angle blades at 45 degrees increments which make it versatile. It also only weighs 11.2 ounces, making it easy to store and carry anywhere you go. It has an efficient ergonomic design. Comes with a high-quality cushion grip handle for easier and more comfortable use. The blade is made of high-carbon steel which greatly enhances its cutting force. This top-notch material allows for swift and clean cuts. The Olson Saw SF63510 is a sleek coping saw that features a sturdy professional saw along with an aesthetic wood handle. It weighs only 9.6 ounces, which makes it a light tool for precision cutting. It is made of Olson’s 15 TPI blade, and the hardwood handle is very sturdy. The blade is easy to adjust. Change the blade according to your desired cut or the shape of the project. You can adjust the tension through the handle and thumb screw for cutting irregular shapes. It has a low cutting range at 43/4. The Robert Larson Coping Saw comes in a handy size at 12.6 x 6.2 x 1.9 inches in dimension. For its weight, it’s only 9.6 ounces which make it incredibly light for your hand. It features a detachable serrated blade that can be changed with one that has blades and pins. Its handle can be twisted, which in turn adjusts the tension on the blade. Its blade is also reasonable in size at 6 inches with a cutting depth of 5 inches. The Knew Concepts Woodworker Fretsaw might not be an authentic coping saw; it still gets the job done. It’s the lightest saw in our list weighing in at only 5.2 ounces, but it’s still robust and sturdy nonetheless. It is designed for long-term use. The Eclipse Coping saw is designed with a sleek wooden handle and enforced steel blade. It’s the heaviest coping saw at 11.1 oz, but it packs a punch and is still easy to maneuver nonetheless. Its features include a bi-metal cutting blade that is designed to last you for years without wear and tear. It’s an ideal tool for wood modeling and cutting lightweight plastics. The back pin is convenient since it locks down the blade and directs it to where you’re going to cut. If you’re looking for the best coping saw, then remember that it should be precise and tension-friendly. When taking these two factors into account, the Olson Coping saw is the winner of our list. Not only is it pleasing regarding design, but its overall performance is top-notch. It can take a lot of tension and still cut precisely. Not to mention, its heavy duty blade is flexible and sturdy enough to cut the tightest corners and joints. All of this is made possible thanks to its blade and handle’s material. Feel free to comment below if you think a different item deserves to be the best coping saw! Good luck and don’t forget to share it with your friends! 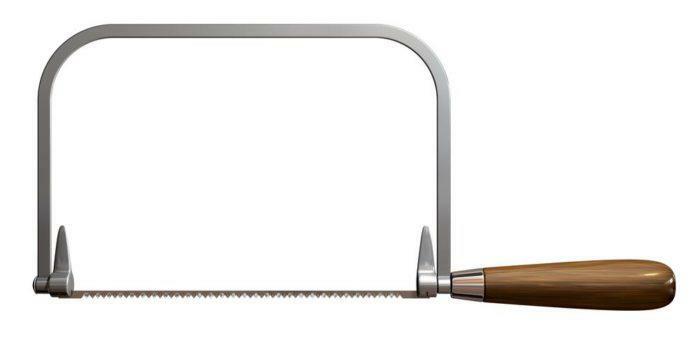 There are different types of the saw which are related to the coping saw. However, if you are looking specifically for one that can make “turning cuts,” the coping saw might be what you are looking for. Durable coping saws do not have to be extremely expensive. Remember, knowing how to maintain a healthy coping saw is what will help you maximize it and prolong its lifespan. Knowing its uses and how to properly use it can also contribute to keeping it in top shape. The hardwood (or plastic) handle of the coping saw is what helps its users make turns or curved cuts. This is the reason it is essential that you find a coping saw with a durable handle first. After all, turning the handle is what tightens or loosens the tension on the blade.You will see a U-shaped steel frame that holds together the edge. It is secured with a threaded bolt both ends, even to the handle. Make sure that both two parts do not wear out or rust quickly as it will decrease the overall performance of your coping saw. 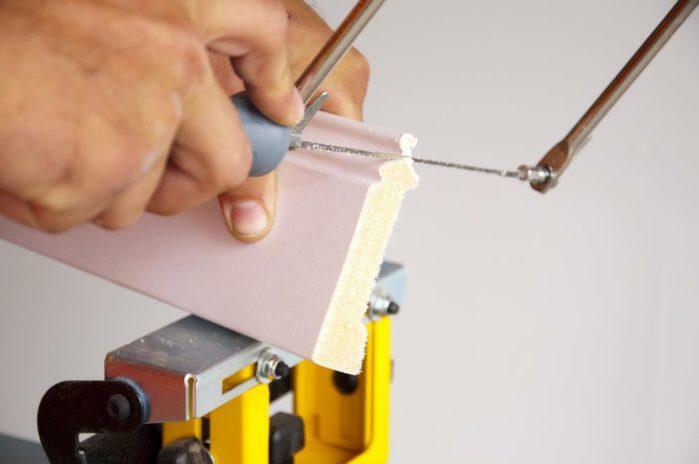 And since the coping saw is meant for cornice, baseboard moldings, cutting/coping through wood, plastic or metal, the blade should be sharp enough. Although the metal blade of a coping saw is thin, if it is durable and sharp enough, it will not break or become blunt too quickly. Most blades measure around 6 to ¾ inches. Even the measurement of the “throat” varies as well. Be sure to pick a good length for you as this can determine as well the depth with which your coping saw can cut through. Finally, the tension is an important thing to know about the coping saw. The right blade and pressure are what will keep you from breaking the blade in the middle of cutting through a project. It is also what helps you make those precise cuts. Maintaining a coping saw in its top shape can be a little tricky if you don’t know the dos and don'ts. The next step to owning a durable coping saw (after buying a good one) is learning how to maintain it. Too much friction and heat can make your blades blunt. So be sure to clean your saw blades regularly. Accumulated dust, sap or pitch can reduce the sharpness and accuracy of the blade. Thus, forcing you to use it with more strength and product more heat/friction. Do not expose your coping saw to too much moisture, or even humidity. This is what makes the blades rust or pit. If ever you do clean the blades of your coping saw, be sure not to use wire brushes. Wire brushes can only damage the blades. You can use either a nylon or a brass﻿ brush. When cleaning, you can apply ammonia or the ﻿Formula﻿ 409 clean﻿er to your coping saw. This cleans them while keeping them from getting blunt. If you are taking your coping saw and other saws as well for a project outside, keep them in their proper containers. Do not ever keep them together. If their blades rub on each other, chances are, one if not both, can get chipped. If you are unsure of where to store your saws in general, you can use heavy cardboards or Luaun plywood pieces with a bolt through them to create a temporary container. Make sure to check the parts of coping saw now and then. The blade, the U-shaped steel frame, the threaded bolts and the handle are all important. For your safety as well, make sure all four parts are fully functional before starting a project. If not, get them repaired immediately to avoid accidents and keep the saw in the best shape. Remember, aside from the maintenance, it is also important that you know how to use the coping saw correctly. And how to protect yourself as well. We cannot emphasize enough how important it is to wear safety gears for every project and to check if the coping saw is fully functional.